This is an adventurous but extremely rewarding and beautiful off-the-beaten-track trek to the base camp of western Nepal’s second highest mountain, stunning Mt. 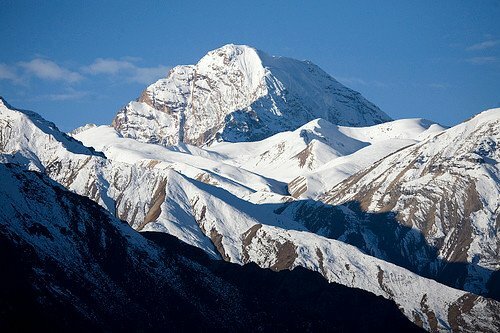 Saipal (7031m). It is best trekked between mid-October and November after the harvest has cleared fields to camp on, as there are no designated camp sites. 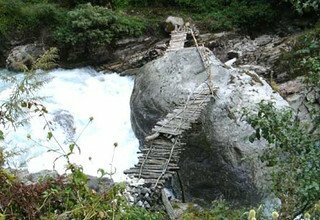 It’s logistically complex; you need to bring your own porters on this trek as locals in this rarely visited region are unfamiliar with foreign trekking routines. 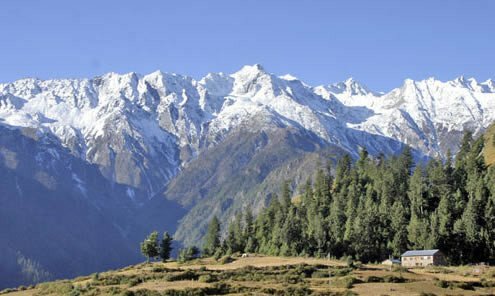 A 24 days itineraries runs from Silghadi (a sealed road reaches Silghadi from Dhanghadi) through Khaptad National Park to reach the Seti River Valley and the Bajhang District capital of Chainpur, from where you continue on to Saipal Base Camp. There are flights of Chainpur at the end of the trek. If you are flying in and out of Chainpur, Budget three weeks. You should send your porters ahead by bus, the fair weather road stops at Tamil Bazzar, about 2 hours from Chainpur. The people of this region are extremely welcoming towards trekkers. 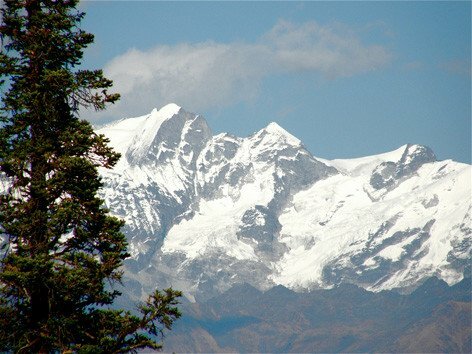 Day 2: Full day Sightseeing in Kathmandu Valley with Tour Guide by private car. Overnight at Hotel in Kathmandu. Day 3: Fly from Kathmandu to Nepalgunj and transfer to Hotel in Nepalgunj. Day 4: Drive from Nepalgunj to Dadeldhura and transfer to Hotel in Dadeldhura. Day 5: Drive from Dadeldhura to Chainpur and transfer to Hotel in Chainpur. Day 6: Trek from Chainpur to Talkot. Overnight at tented camp. Day 7: Trek from Talkot to Jima or Ghat. Overnight at tented camp. Day 8: Trek from Jima to Panshera. Overnight at tented camp. 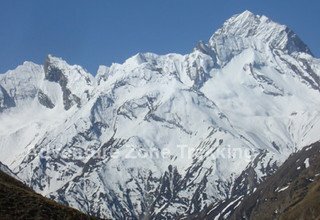 Day 9: Trek from Panshera to High Camp. Overnight at tented camp. Day 10: Exploring the High Camp Area. Overnight at tented camp. 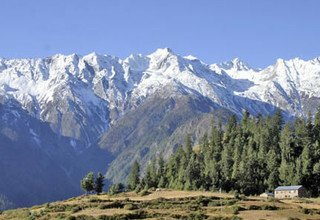 Day 11: Trek from High Camp to Panshera. Overnight at tented camp. 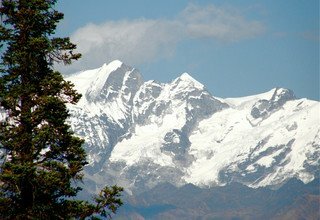 Day 12: Trek from Panshera to Kurio. Overnight at tented camp. Day 13: Trek from Kurio to Agloghat. Overnight at tented camp. Day 14: Trek from Agloghat to Chainpur. Overnight in Hotel. Day 15: Fly from Chainpur to Nepalgunj and transfer to Hotel in Chainpur. Day 16: Fly from Nepalgunj to Kathmandu and transfer to Hotel in Kathmandu. Day 17: Full day Sightseeing in Bhaktapur and Patan City with Tour Guide by private car. Overnight at Hotel in Kathmandu. * Domestic Flight ticket KTM/Nepalgunj and Chainpur/Nepalgunj/KTM and domestic airport tax. * All Camping Equipments (Tents, Mattresses and Kitchen Utensils).